This is the time of year when a lot of us take time off for vacation. 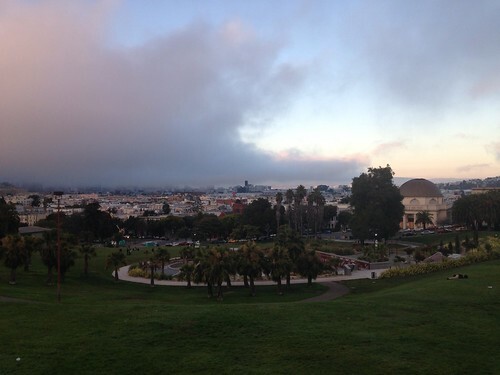 The season of summer needs time off as well, which is why we have the month of Fogust. And perhaps one day in the distant future, archeologists will stumble on this sunny spot in the foggy ruins of our city. And maybe they’ll figure out why San Franciscans spent so much time fighting over building things that — most of the time — nobody could even see. 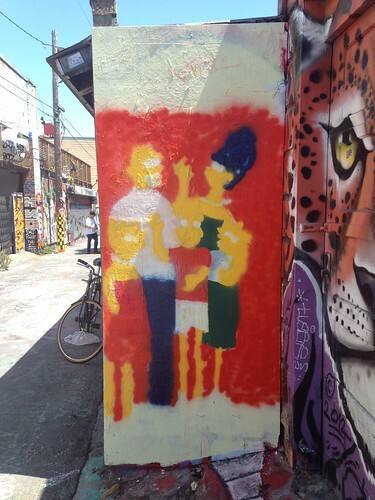 Finally, a street art mural of the Simpsons that’s as blurry as my memories of a time when the show was still funny. UPDATE: The Simpsons have now come into focus. The other day while hacking away on some C++ code and listening to music, something occurred to me: if I’m programming in C++, shouldn’t the music I’m listening to be in the same language? So I took a few verses from various random songs and coded up C++ translations of the lyrics. Here’s what I was able to hack together. You are currently browsing the MrEricSir.com blog archives for August, 2013.